Have you ever downloaded a file from the Internet or copied it from another computer and noticed that the file doesn’t behave as expected. This is most likely the result of certain security warnings that Windows has imposed on the file as it can’t determine trust. To solve this issue, you need to Unblock the file. 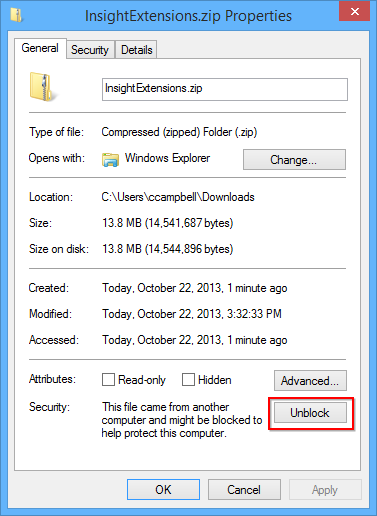 It’s important to note that ZIP files need to be “unblocked” before their contents are extracted otherwise the contents won’t be extracted and/or behave correctly.